If you are traveling out of the country, please make sure you make copies of all the travel documents, including your passport, birth certificate, drivers license and travel tickets or documents. Keep an extra copy with you at all times. Also, email a copy to yourself so that if needed, you can retrieve your documents anywhere there is internet access. If you are working with a travel agent, make sure he or she has a copy too. That way, in case of emergency, a copy can be emailed to your location with a call to him/her. Doing this will only take a few minutes of your time but will be invaluable to you if your information is lost or stolen. At McMillian Travel, we keep all documents electronically with your profile. If you ever need any of them, we are a phone call away. Make sure you update your documents as needed so that we have the most recent information for you. When you are ready for that vacation, or need assistance with a passport or a passport card, call us at 704-994-8747 ext. 1. We are here to assist you and answer any question you might have about your travel. If we do not know, we will certainly find out for you. We take care of our clients so that they have stress-free vacations that create lifetime memories. When traveling, we usually do not think to take a small notebook with us. But, for me, its hard to remember all the names and places and things I saw once I return home. So, I take a small notepad with me. That way, if I try a new food or see something unusual, I can jot down the name and tell others about it when I return home. Since I blog, it is a great way for me to write down my daily activities or end the day with a recap of what I did or places I visited. Get in the habit of writing during your journey. It's a great way to recall your vacation when you return. And keeping a journal will allow you to go back in your mind and relive those moments as you re-read what you have written. If you have children, encourage them to do the same. It's a great way to compare notes and talk about what they enjoyed most on their vacation. For more travel tips or to book the vacation of your dreams, call McMillian Travel at 704-994-8747 ext 1. We are ready to assist you in planning the vacation experience of your dreams. What's in your Wallet...uh I Mean Luggage? There are some things you may want to consider when planning your next vacation. One of those things is what you will pack in your travel bags or luggage. Here are a few tips that should make it easier for you. 1. Plan ahead. Purchase the items you plan to take several days ahead of your travel date. Last minute purchases may end up costing more if you purchase at a convenient store/gas station as opposed to the local dollar store. 2. If you cannot find your favorite products in travel size, consider purchasing those empty travel-size plastic bottles at your local dollar store and filling them with your products. Don't forget your toothbrush covers and wet wipes while you are there. 3. If you use aspirin, pain medication, allergy meds or things of that type, the generic brands can usually be picked up at dollar stores as well. Taking these over-the-counter medications with you can save you a lot of money and time later. I always take hydrocodozone with me too. You never know when you will need it for an allergic reaction or a bite or sting. 4. Pack more undergarments than you will need. That way, if there is a delay or an accident of some type, you will be able to change without worrying about laundering your clothing. Also remember to take a laundry bag to separate your worn clothes from the clean ones. Once you are ready to wash your clothing, everything will be in the laundry bag. 5. As a rule of thumb, I always keep a packed toiletry bag ready at all times. In case we have an emergency, I don't want to have to get out a check-list and go over it. I want to grab and go. Having a toiletry bag ready insures I do not forget the essentials for any trip. Just make sure you replenish your bag after each trip or when needed. 6. I generally take washing pods with me when I travel. They fit right into a small zip-lock bag and I don't have to worry about purchasing laundry detergent. They might cost more, but they are certainly worth the convenience. For more travel tips and advise, call your travel doctors at McMillian Travel. We take good care of you and write the prescription you need to cure your ailments! What are you waiting for? Let's go somewhere! Fill out our vacation intake form to get started. We have all heard that expression. And usually what follows is..."usually it is." Travel package deals sometime are in print or come across the television with great deals for $149 or $199 and you think, "I can afford that, let me call them and book now." If you do call, you will find that the deal is not such a deal after all. Sometimes there are hidden fees or timeshare seminars you have to sit through. Usually, there are more fees and add on's that increase the price significantly. Before you know it, you could be out of several hundred dollars and wondering what happened. If you do try to take advantage of the deal that sounds too good to be true, make sure you get all the details in writing BEFORE you commit to giving them your credit card information. If they cannot give you that information up front, they may not be a reputable company that you need to do business with. Also, make sure you find out about the cancellation policy. If you have to cancel at the last minute, will your money be refunded or will they just give you credit to re-book at another time? All this is need to know information before you purchase what they have to offer. Find out what is included and what is not included in the deal. After your conversation, offer to call them back the next day. If they say the offer is only available while you are on the phone and you have to act now to take advantage of the deal, hang up and call your travel agent. If you do not have one, call me and let's sort through the deal together. I remember a few times getting a call saying I had won a cruise for a small amount of money. Each time when the seller came on the phone, I informed them that I was a travel agent. Mysteriously, the phone call was disconnected. Guess they figured I was not the person they could get over on and there was no need talking to me. If it was legitimate, I am sure they would have told me about the offer. Remember, if something sounds too good to be true, usually, it is! Let the travel doctors at McMillian Travel get you the right price for the travel you desire. We may not always have the lowest price, but we will have the package that will fit your needs and desires. Let us work with you to plan the vacation of your dreams. Call us at 704-994-8747 ext. 1. What are you waiting for? Let's go somewhere! I want to share this new resource with you. Get free traffic to your site or blog. Click on the link below. 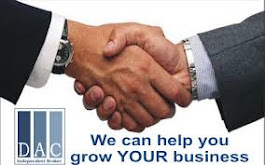 If you are looking for a free business that will not cost you to start or maintain, click here. If it hasn't happened, it probably will. There is nothing worse than having a computer or laptop get the blue screen of death! When it happens, what are you going to do? If you have not backed up your important information, there is nothing you can do--except start over from scratch. and who wants to do that? Take a look at the solution in live drive. Back up your computer systems starting at $6 per month. Fast, secure and easy to use. Get it before its too late. Visit http://bit.ly/1ocPFtV. Are you using Facebook for Marketing? - Something simple to grasp? - An easy way to get noticed and recognized? - Maybe great new ways in generating leads, traffic and sales? Then our new Facebook package will guild you through, and set you up on a solid foundation, showing you with confidence and comfort on how to use Facebook to explode your business in a way you have never used it before! - Explode your business and organization! YES. No up-sells no hidden agenda... get your Facebook viral marketing system for just two dollars and ninety five cents! Do you fear flying? This article might help. Found this great article and wanted to share. I use this free service and love it.